We are regarded as one of the major Ladies Embroidered Kurtis Manufacturers from India. We present a classic collection of Designer Ladies Kurtis that are made using good quality fabrics. Adding a trendy and cool look to your personality, Ladies Kurtis are known for their comfort fit. Easy to wash, color-fastness, durable and comfy are the chief attributes due to which Ladies Embroidered Kurtis have gained popularity in the market. 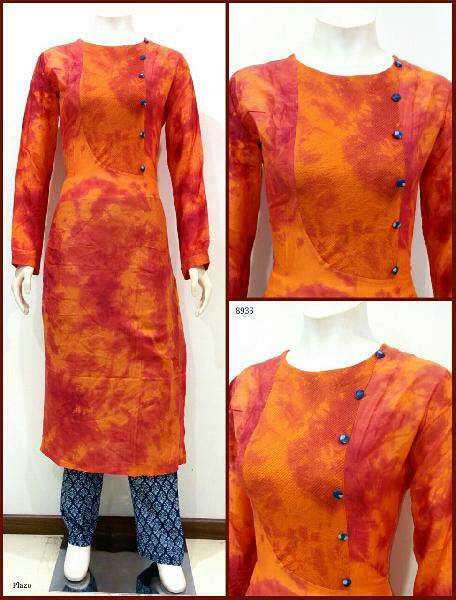 Available in amalgamation of colors, Ladies Kurtis can be availed at the most affordable prices. In addition to this, we also provide customized services as per the preferences of customers.